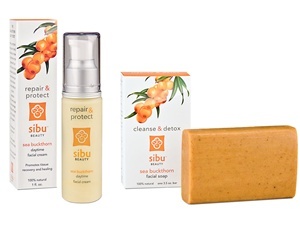 I was sent Sibu Beauty products to try out. I've said this in other posts that my skin is super sensitive. I'm not afraid to admit I don't use any cleaning products on my face. I use water, that's it. When I was younger, into my late 20s, I'd try all different kinds of products to keep my face clean and moisturized, but I was constantly breaking out. I finally threw my hands in the air and figured nothing is better than what's happening now. Since then, my face has been acne free. I know, who'd have thought, right? Only problem is, finding a product to moisturize my face and to repair damage that's been done over the years. 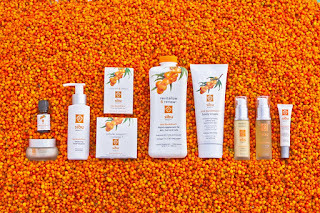 I was sent the Sea Buckthorn Repair & Protect facial cream, Sea Buckthorn Hydrating Serum, and Sea Buckthorn Facial Soap. This three are sold individually as well as a trio in the Repair & Protect, Cleanse & Detox Combo! The Sea Buckthron Hydrating Serum has absolutely made my face feel refreshed. When it says it hydrates, that's exactly what I feel has happened after I've used the product. Even hours later I can still feel the lasting effect. I actually have to keep from rubbing my face to feel the smoothness. The Sea Buckthorn Repair and Protect has the most wonderful citrus scent to it. Honestly, who wants to put a product on their face that has a bad smell? I use it every morning before work and love how light it feels on my face. I haven't used the facial soap yet. I have to be honest and say that I've been nervous. It's a cleanser and that means "breaking out" to me. Yes, call me a chicken, but the other products have worked so far without me breaking out. I figure I'll give them a couple more weeks to see if I'll actually break out the soap. Of course, one of my favorite aspects of Sibu is it's Paraben-FREE and Cruelty-FREE. No dairy, wheat, gluten, sodium, yeast or preservatives. 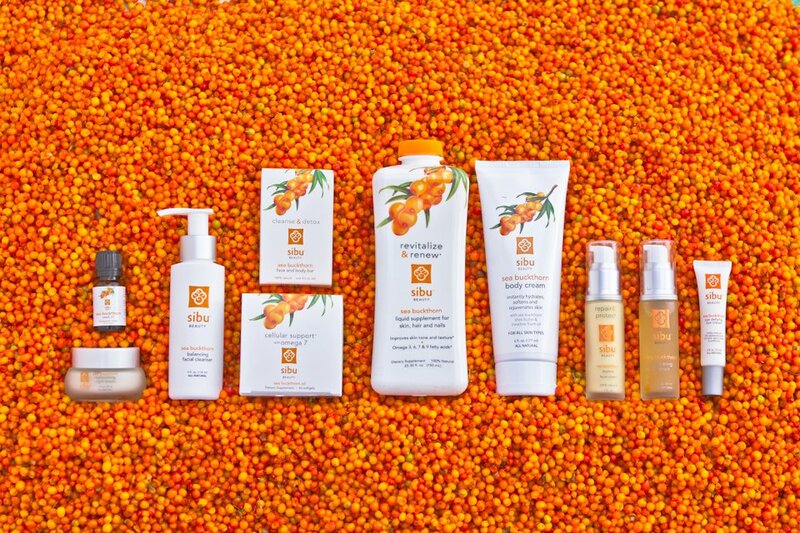 Our sea buckthorn is sourced through fair trade agreements with local harvesters in Tibet. How amazing is that? Experience the ultimate in skin hydration. This light, non-oily serum will flood your skin with moisture an help deeply hydrate your face ad next to eliminate the tight, dry feeling caused by dehydration. 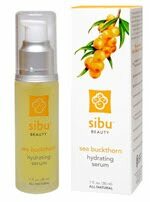 Infused with vitamins and sea buckthorn extract, this serum fortifies the skin against the aging process and helps repair damage at a cellular level. 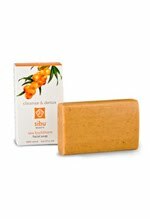 Awaken your skin and wash away a day of stress and pollutants with pure, simple and effective Sibu Beauty sea buckthorn facial soap. Lathers thick and rich to cleanse, moisturize, repair and detoxify the skin, while creating a protective barrier against UV rays and cell damaging free radicals. It is paraben-free and cruelty-free, and contains NO dairy, wheat, gluten, sodium, yeast or preservatives. I'd like to thank Sibu for sending me sample products. The opinions expressed are my own and never influenced by the company.